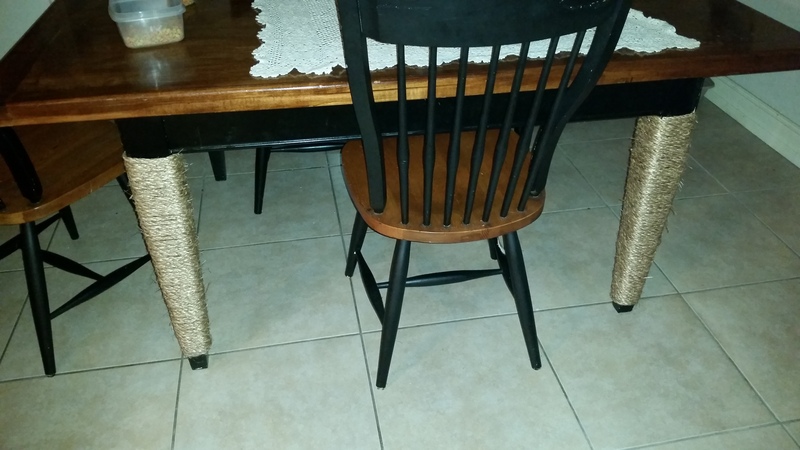 No more cat scratch table! My little fur babies LOVED scratching the legs on my kitchen table. 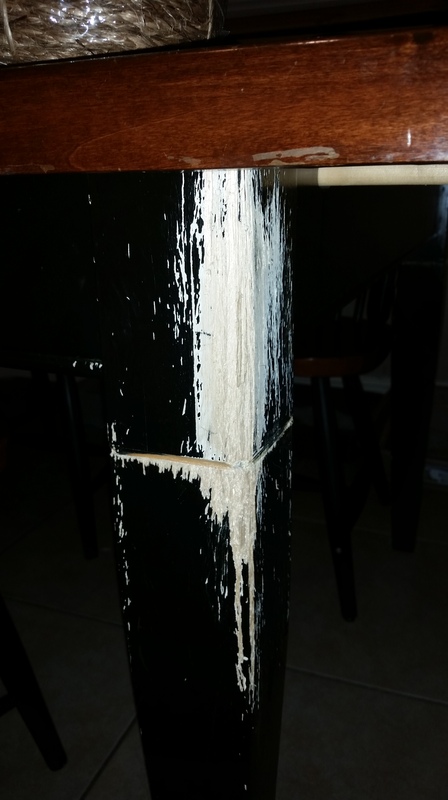 For the past 2 years I just told myself that I was going to replace my table. Then today…LIGHT BULB!! 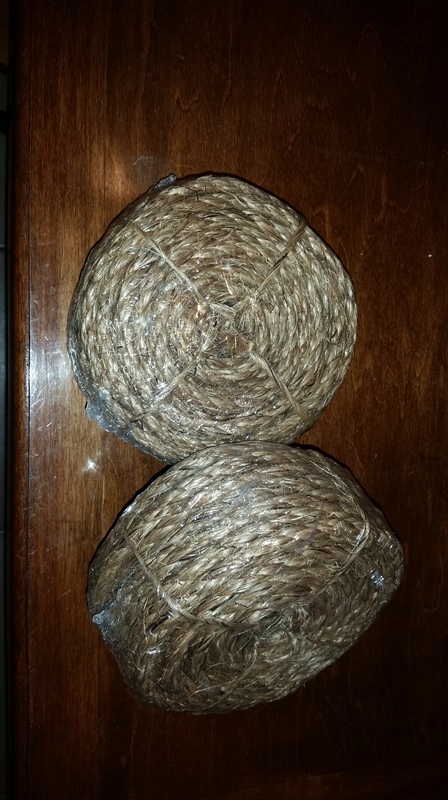 !….I rushed off to Home Depot and bought some twine! BEST purchase I have ever made!!! 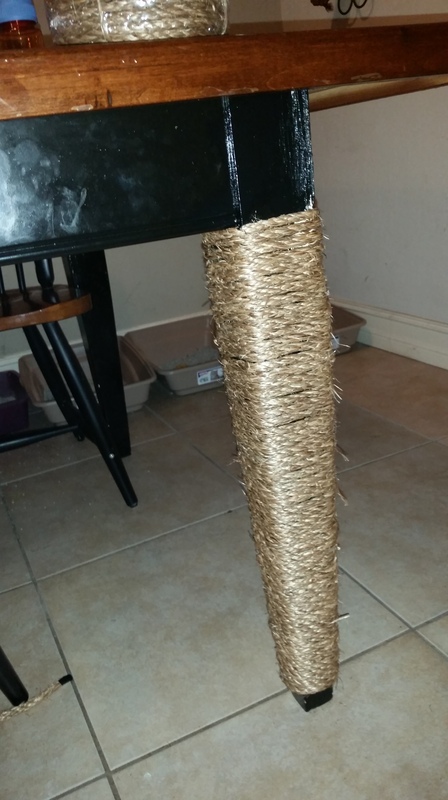 I decided since the BF is going to build them a play area/scratch post, until then I can save my table!! !